I have finished my Kit and Clowder Juli 2018 colouring class that I was started for The Daily Marker Coloring Challenge. It was a lot of work but with almost every day a bit of colouring it was finished quicker than I thought it would be. And I am so happy with the result, it’s always great to see something grow bit by bit under your hands and see it becomes as you had in mind. For me the challenge was drawing in some parts of this image, the rock wall and the shrubbery/foliage. This isn’t necessary because there is also a image where it’s already drawn in. Also the colouring of the black suit, colouring something black isn’t that easy as it seems to be. For The Daily Marker Coloring Challenge I am colouring with my Faber Castell Polychromos Pencils. Although colouring with pencils is time-consuming I always have fun doing it. Instead of using cardstock with a tooth, what makes it easier to layer the colour and blend, I am colouring on smooth cardstock. I wanted to give this a try and I like it. You have to be careful with your pressure. Best is very light, hold the pencil more on the end of it than by the point and in such angel that you won’t colour with only the point. This way it isn’t difficult to layer. I hope to find time next week to finish this image. For those who think that I forgot the space behind and close to the girl, she is getting a veil and then it’s easier to draw and colour that first. Used materials are under the picture. Image You and Me by Tiddlyinks. I am participating The Daily Marker Coloring Challenge, every time it is a lot of fun! I will not post every little bit of colouring I do, most of the time I colour for about 10 – 30 minutes. I will colour the image you can see here below with my Polychromos pencils. Colouring with pencils take time, that’s why I won’t show every day what I have done. 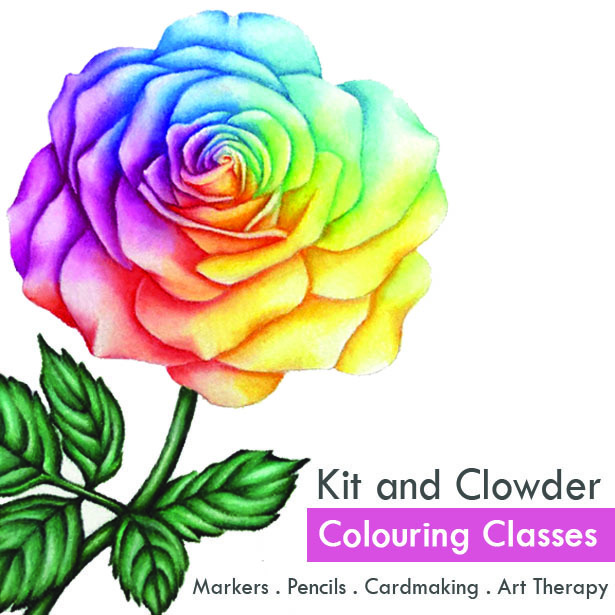 The image is from Tiddlyinks and I am follow a Kit and Clowder Class from July 2018 to colour. The 30 Day Coloring Challenge! The 30 Day Coloring Challenge is back! I will participate and you? Click on one of the links for all the information.